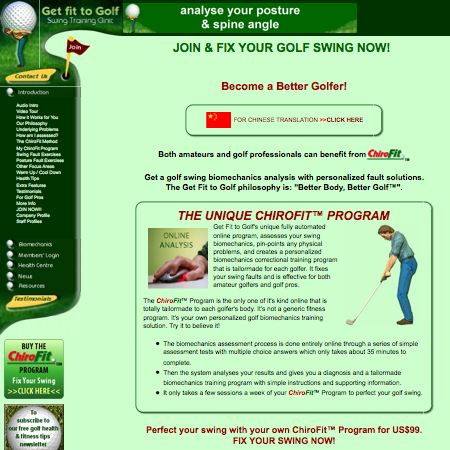 Chiropractic developed golf biomechanics analysis and tailor-made golf fitness training program. Fix your golf swing with A unique personalized program Which will correct your swing fault based on posture, muscle imbalances and biomechanics to improve your golf game. The system analyses your results and gives you a diagnosis and a tailormade biomechanics training program with simple instructions and supporting information.